Actress Vedhika says shooting for forthcoming Tamil horror-comedy “Kanchana 3“, the fourth part in the widely popular “Kanchana” franchise, was like going on a big holiday and she considers the movie a great addition to her filmography. Vedhika has returned to the franchise, which kicked off with the 2007 film “Muni“, after a decade and she can’t be more excited. “Kanchana 3“, which has been directed by Raghava Lawrence, releases this Friday worldwide. “When I did eMuni, I was very young and didn’t know anything about filmmaking. Back then, Lawrence master was very popular for his dance-based films and I thought I was being called for another dance film. But when I heard the story, I thought this was something new. The story was about a hero who is generally afraid. It was a character I could relate to so much because I get easily scared in real life,” Vedhika told IANS. “When Lawrence master again called me after so many years and said we should do this film, I thought it would be a great addition to my filmography. With Kanchana 3‘, I was getting an opportunity to do something really commercial and I didn’t want to miss it. It’s a film very close to my heart,” she said. 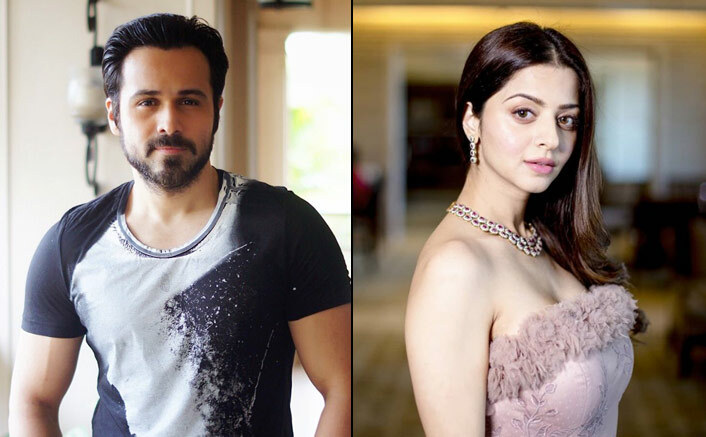 The post “Emraan Hashmi Is One Of My Favourite Actors”: Vedhika appeared first on Koimoi. Previous ArticleKalank Movie Review: Theatre More Pardesiya – Nahi Padharo Piya! Next Article Kangana Ranaut REACTS To Mahesh Bhatt’s Chappal-Throwing Controversy!